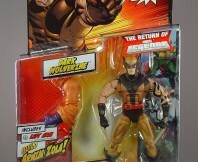 Anyway, read on for my quick thoughts about Hasbro's (Return of) Marvel Legends Dark Wolverine figure! Confession: I haven't closely followed X-Men (and Marvel Comics in general) for years, so I know very little about Dark Wolverine, aka Daken. I know Wolvie had a son at some point in the past, and that Daken was that son, and that's about it... though skimming Daken's entry on the Marvel Wiki just now has given me a bit more of the backstory. Anyone interested in learning more about the character should read that, 'cause the cardback sure as heck doesn't say anything meaningful about Daken's history! It is an attractive package, though -- love the artwork -- so bonus points for that. 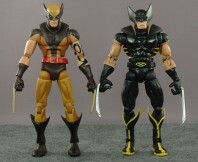 Anyway, even if you don't know much about the character, the figure itself might still seem pretty familiar: he's rocking the same Bullseye-inspired body Hasbro's used a bunch of times in the last five years. Despite the angled hips of old, however, it's nicely articulated -- so I can't really complain. The body lacks the new ankle tilts, but it does retain the Toybiz-style ones that work just as well as -- and in some cases better than -- the updated ankles, and it has the old style ab crunch that I prefer. 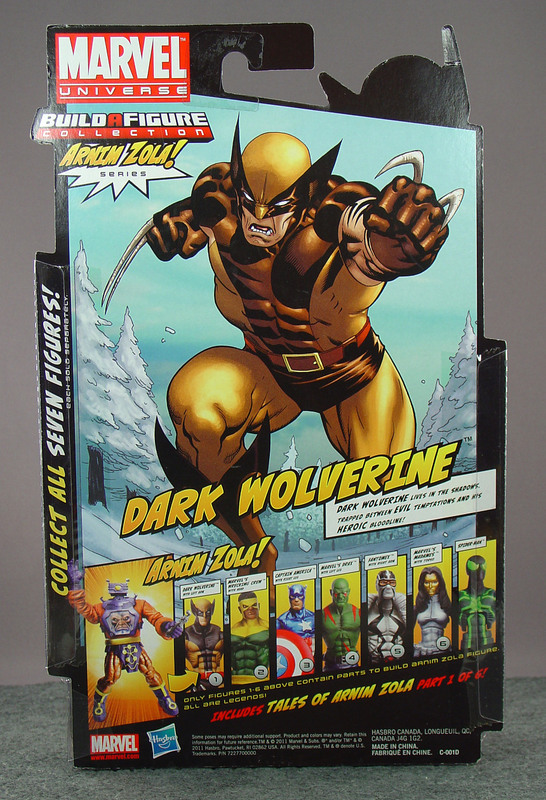 People keep gushing about the ML Wolverine that debuted in an exclusive 3-pack at SDCC (which I wasn't able to get since it sold out at the con), but even that figure lacks the ab crunch. 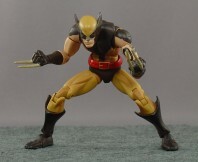 So while I'm not sure how well that figure's poseability works with its ball-jointed torso, I do know that this Dark Wolverine can hit a lot of the poses I want a Wolverine figure to be able to pull off -- in particular the kinds of deep hunches ol' Logan does in the Capcom video games. 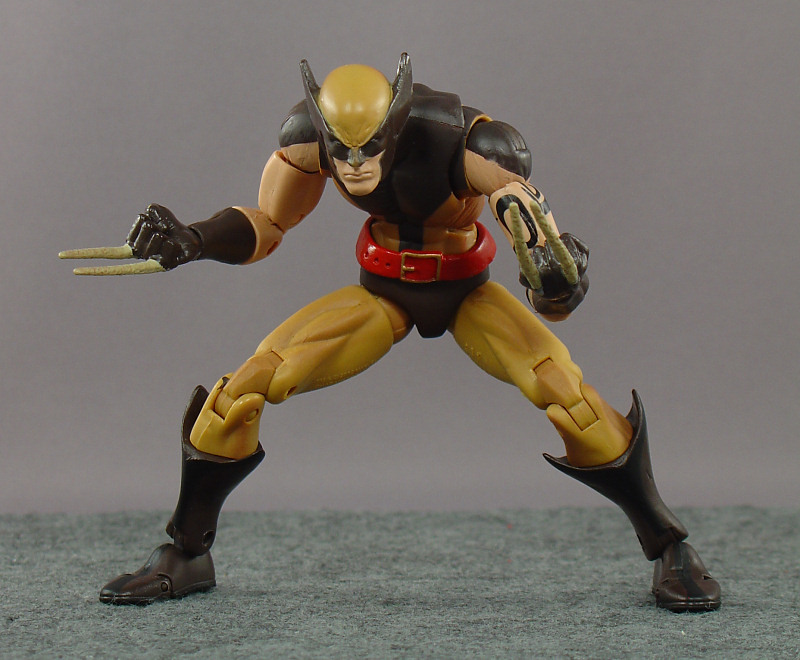 Of course, Wolverine has three claws on each hand and doesn't sport tribal tattoos... so I'll have to do some arm swapping and a bit of painting before I can truly call this guy the classic Wolvie of my childhood. 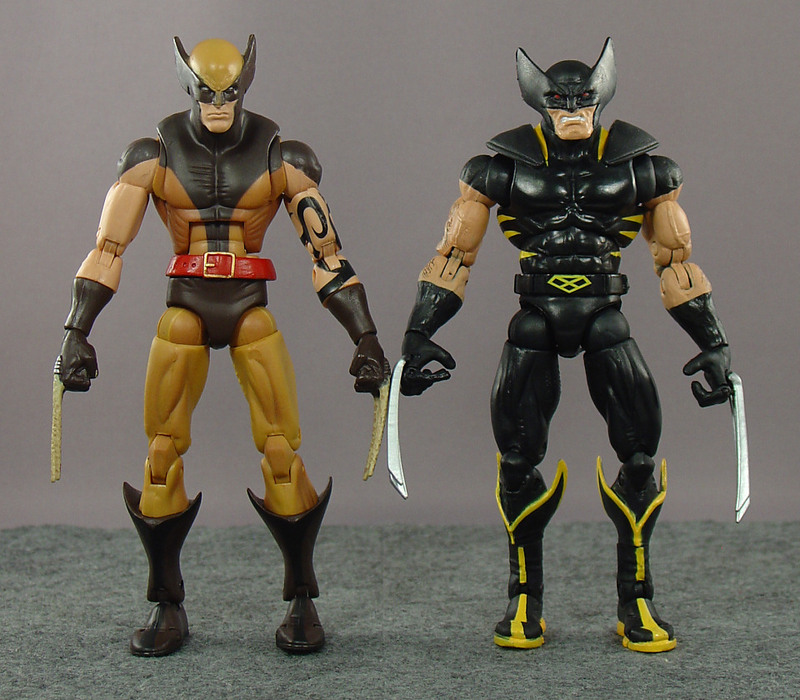 In any case, whether you actually like Daken or want a 6" brown costume Wolverine (and for whatever reason don't want to eBay the ToyBiz version), this figure is a worthy purchase. I didn't talk about the sculpt and paint -- quick review! -- but they're mostly fine, and the articulation's great and functional despite the antiquated construction. I really pretty much never enjoy reading about Daken, but I'll mention that the Dark Avengers concept - creating a team of fake Avengers by recruiting villains with similar powers and costuming them up appropriately - is amazing. 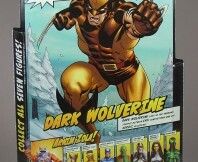 Plus that's a pretty sweet, Wolverine-y pose you got him in for photo 4 there. $14.99 doesn't seem too bad considering I saw a one-inch Luigi going for $8 at Target last week. 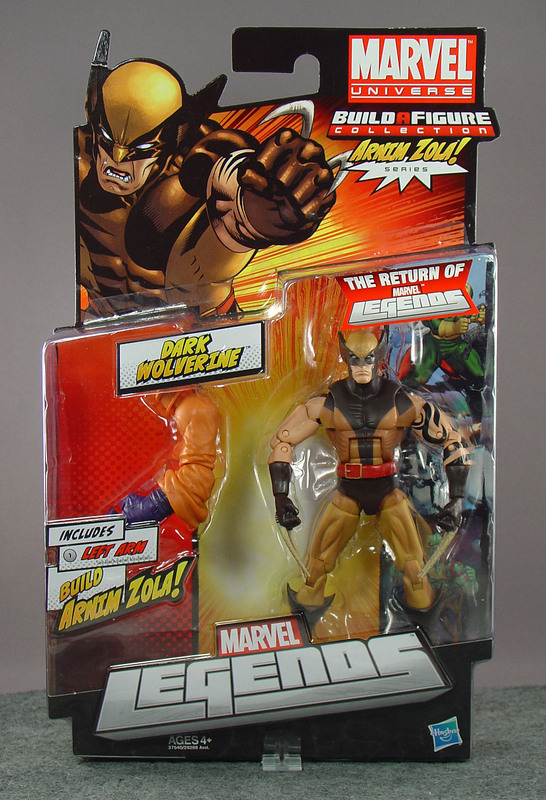 Did you ever see the Wolverine movie? Probably my least favorite of the large crop of comic films this last decade.